Rep. Chris Taylor at the Solidarity Sing Along on November 12, 2012. Thank you for the opportunity to submit written testimony regarding the proposed revisions to Wis. Adm. 2. I write in strong opposition to enacting these proposals into permanent rules. Considering a recent injunction issued by Federal Judge William Conley in the case of Kissick vs. Huebsch that struck down provisions of the Capitol Access policies regarding a permitting process that is incorporated in the proposed rule changes, in addition to other objectionable changes, I believe as drafted that many of these proposed rules are an unconstitutional abridgement on First Amendment free speech rights and should be abandoned. 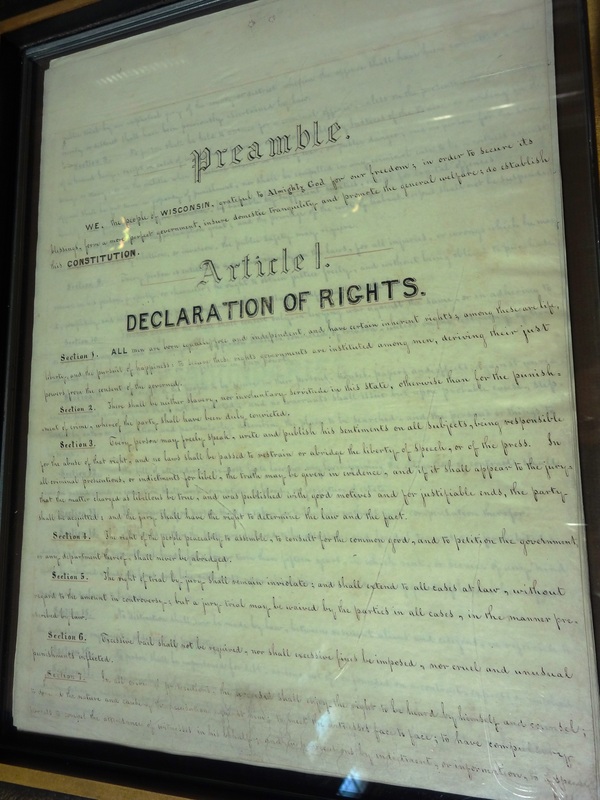 Article I of the Wisconsin State Constitution displayed in the capitol rotunda. First, there is no basis for modifying existing Administrative rules. There has been no demonstration that somehow the existing administrative code is insufficient in addressing permitting for any particular group or event. The current Administrative Code and other provisions of our statutes give the Capitol police the ability and authority to deal with disturbances and unruly actors and activities in the Capitol. Though the state alleges that the rule change is an attempt to “codify historical Department practices,” as Judge Conley found in Kissick, the historical practice, until September, 2012, has been to not issue citations for holding an unpermitted event in the Capitol rotunda. Hence, there is no justification for the Administrative code revisions. Further, requiring an individual or small group who participates in an event or rally to obtain a permit, excluding the few activities specifically noted, is impermissible under Kissick because it is an unconstitutional infringement on First Amendment rights. 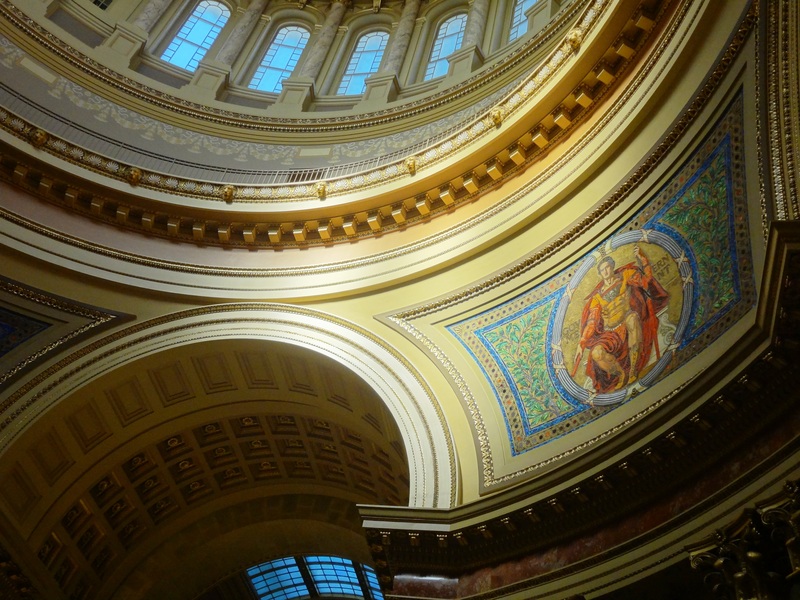 As Judge Conley noted, the Capitol rotunda has a special place in Wisconsin history as a gathering place for the public in order to participate in the political life of our state and engage in expressive activities concerning our government. As referenced by Judge Conley, the state has noted in the papers to nominate the Capitol Rotunda as a National Historic Landmark: “Whereas some statehouses are maintained apart from the urban fabric, the Wisconsin Capitol Rotunda functions, both literally and symbolically as a city center and is fully utilized as a public space to which all have claim.” Even the construction of the Capitol, with the intersection of the three branches of government meeting in the Rotunda, symbolizes that the historic and actual purpose of the rotunda is to engage the public. Sun shining on the soaring arches of the Wisconsin State Capitol rotunda. Yet the proposed rules continue this unconstitutional permitting scheme by requiring even one individual to apply for a permit before engaging in most expressive activities in the Capitol (Proposed Adm. 2.04, 2.04 (1m) and (1r)), and providing penalties for anyone who engages in these activities without a permit. (Proposed Adm. 2.14 (v), (vm) and (vm) 5). All of these provisions, and all related enforcement provisions revised in the rules, must explicitly be omitted from the rule as an unconstitutional abridgement on First Amendment speech. Because this central provision of the proposed changes is unconstitutional, it follows that designating authority to implement the rules as set forth in the proposed changes is also unconstitutional. For example, Admin. 2.14 (2) (vr) 2 allows a designated official to prescribe additional limitations for any event to meet the requirements of the Code. Given that individuals and small groups need not meet the permitting scheme set forth in the proposed rules, it follows that any additional power designated to the Capitol police or to Walker Administrative officials to enforce this provision must also be omitted from the proposed rule change. There is also no basis for limiting the size of hand held signs to less than 28” inches in length or width. Holding a sign is the epitome of constitutionally protected speech and a blanket prohibition on signs that exceed a certain length seems arbitrary and an abridgement on constitutional rights. Further, many provisions throughout the proposed code changes are vague and give too much discretion to the Capitol Police and to the Walker administration. Both the Capitol Police and the Walker administration have refused to tell even elected officials like myself the conduct to which they object and the reasons behind individuals being arrested and/or cited and fined. 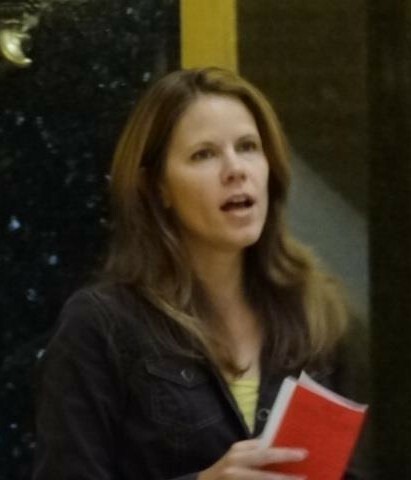 Though most of the citations issued against individuals present in the Capitol rotunda have been dismissed, the Walker administration and Capitol Police have continued to issue citations to individuals without identifying and notifying people about the conduct to which they object before issuing citations. 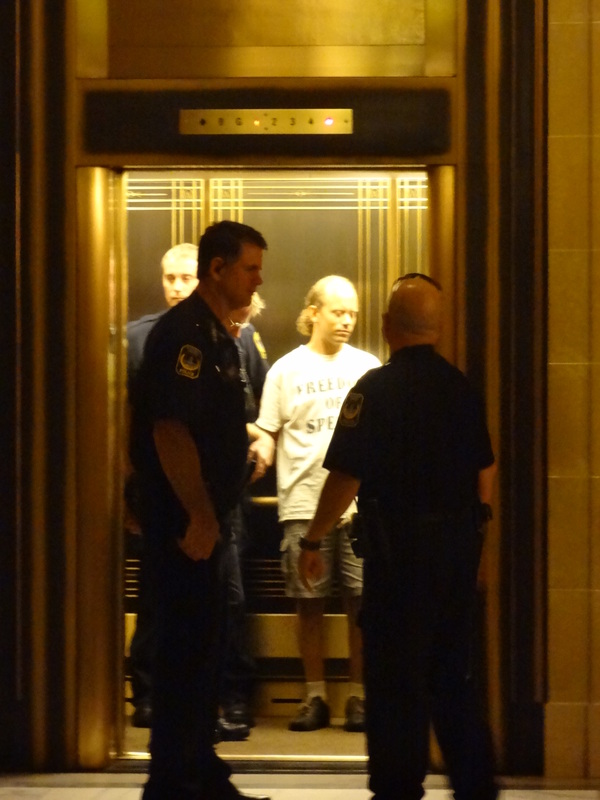 Capitol police officers arresting a man for holding a sign in September, 2012. The Capitol police have repeatedly issued citations with fines for constitutionally protected activities, as indicated by the dozens of citations that have been issued and dismissed against people engaged in expressive activities in the rotunda. The proposed rules incorporate subjective terms like “material falsehoods and misrepresentations” as a basis for refusing a permit application without defining what this means. The term “activities that are prohibited by law” is also a basis for denying a permit application under the proposed changes. This is problematic because clearly activities that the Capitol Police thought were prohibited by law, like carrying a sign, though the basis for citations, were thrown out or dismissed because they interfered with individual constitutional rights. More specificity in the definition of these terms is needed to make sure the rights of citizens are protected. Adm. 2.08(d) also allows additional instructions by the Walker administration regarding displays, decorations, signs, banners or the like. Given that individuals have had signs confiscated for no apparent purpose except that they reflect a political message, any additional instructions by the administration should be required to be promulgated in writing with fair notice and an opportunity to contest prior to implementation. In conclusion, provisions of the proposed Administrative Code that conflict with Judge Conley’s temporary injunction issued in Kissick, in addition to prohibitions on sign size and the use of vague and overly broad terms that give additional discretionary authority to the Department of Administration and the Capitol Police, should be abandoned. Finally, until Judge Conley’s ultimate decision in Kissick, it is premature to promulgate revisions to the Administrative Code which may conflict with the final judicial resolution of these matters. Thank you for the opportunity to provide this written testimony against the proposed Administrative Rule Changes for Chapter 2.